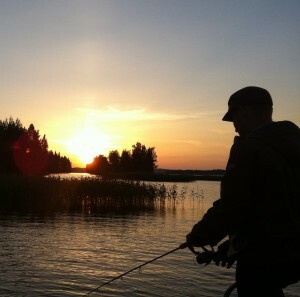 The region of Varkaus offers beautiful and bountiful waters and fishing is possible either on your own or using the services of a guide on guided fishing trips. Pirtinvirta waterway is an excellent fishing spot in the middle of city services. Rainbow trout have been planted there and fisherman can also catch pike perch, pike, perch and lake trout. It is also possible to order a fishing guide and rent a boat. The joint permit areas of northern Haukivesi Lake and Unnukka in the environments of Varkaus cover a total of 15.000 hectares. There are boat ramps in Taipale, Kommila, Luttila and Kääremniemi. The links below provide Finnish information about fishing permits and maps of local waters. Ämmäkoski rapids is a fishing spot with a current, where fishing is allowed only by members of Varkauden Urheilukalastajat ry, a local sport fishing association.